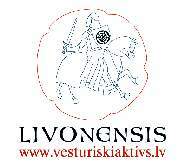 March 1997 - the first historical reconstruction club Livonensis was established in Latvia. The active period lasted until 2003, the number of club members altering throughout it. The public activities included participation in several regional festivals and cities´ anniversaries, most well known - Knights´ festival in C?sis town, Riga - 800, etc. For the club members alone several hikes along the historical waterways of Livonia, winter expeditions and feasts were organized. Important role within the public life was set for educational visits to schools. Request from the organizers of different corporative events shaped the public offer of swordsmanship displays and historically based shows. 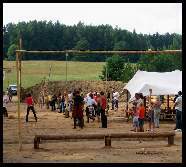 Year 2001 - by uniting several historical reconstruction clubs Historical Festivals´ Association was formed. Within the period between 2001 and 2007, the Association organized seven Baltic Medieval Festivals; the first four took place in C?sis, the last three - due to good mutual cooperation with the municipality - in Valmiera. The programs of the Baltic Medieval Festivals included all possible spheres of medieval culture as well as household activities - crafts, trade, and gastronomy. A special focus was laid on the military activities - knightly deeds of arms, tournaments, competitions, field battles and battle skills demonstrations. The other heavyweight of the organized events traditionally was the medieval music in a lively and memorable performance. 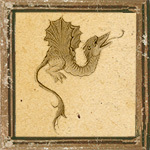 Our festivals have staged medieval and renaissance music ensembles from Estonia, Finland, Hungary, Czech, Belorussia. Several Latvian groups and ensembles have formed and developed within the frames of the Festivals. Year 2008 - popular union Historically active.lv( V?sturiski akt?vs.lv) was formed to popularize the historical reconstruction and to offer the options available for popular education. In the year 2010 the renewed Livonensis aligned the union. Built in 1207 as a castellum type fortress, later rebuilt into a convent type building. From 2012 it is possible to climb up the North Tower, the Main Gate Tower and enjoy the medieval aura.